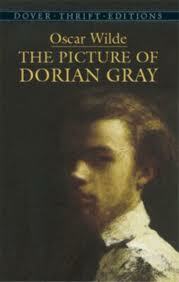 Oscar Wilde’s The Picture of Dorian Gray provides noticeable parallels to the author’s life. Oscar Wilde’s The Picture of Dorian Gray provides noticeable parallels to the author’s life. A research paper on Dorian Gray illustrates that the novel’s main character Dorian Gray possesses specific personality traits that are similar to Wilde’s as well as life interests and issues that can be similarly ascribed to Wilde. Although the term paper on Dorian Gray never makes any official literary connection with the character and life of Dorian Gray to his own, the comparisons that can be drawn throughout make it is fair to assume in the literature research paper that novel is purposely autobiographical. It is relatively easy to interpret Wilde’s novel as a purposeful means of openly revealing his struggle between British social mores of the period and his own desires and interests in life. At the same time, Wilde demonstrates a moral intention in the story’s allegorical design, in which he appears to reveal how a life of indulgence and constant depravity and debauchery ultimately leads to destruction. What is even more intriguing is that Wilde’s life would eventually follow a path that was similar to Dorian Gray’s. Perhaps the greatest support to the rationale of Dorian Gray as representative of Wilde is in that Wilde clearly believed that only art, and in this case art in the form of a novel, could reveal the person. Paper Masters writes custom research papers on Oscar Wilde's The Picture of Dorian Gray.